Who doesn’t love that gentle giant who always watches over Harry Potter? Well, Hagrid is indeed one of the most lovable characters in the 7-part series of Harry’s adventures in Hogwarts and the Wizarding World. 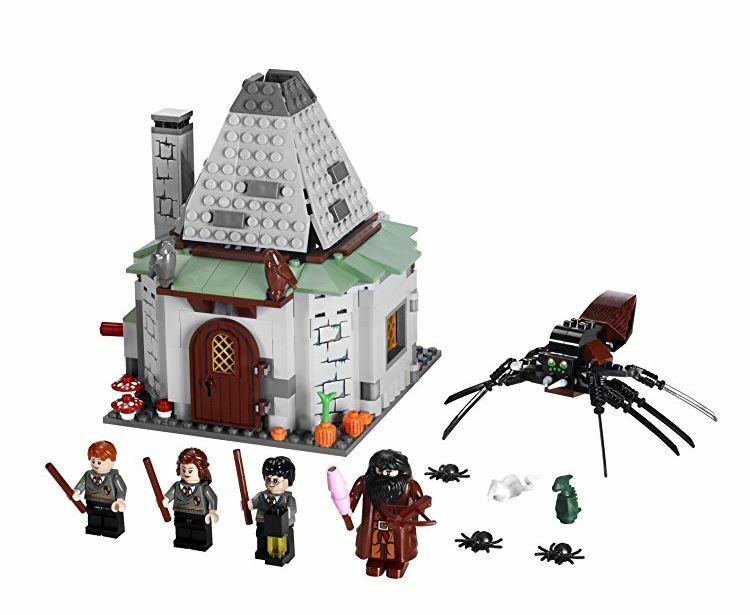 Now, LEGO brings you another take on playing with the giant in this fun set of LEGO Harry Potter Hagrid’s Hut (#4738). You must be familiar with Hagrid’s hut which is situated on the edge of the Forbidden Forest. Harry and his friends used to come here often, right? Relive and remember the moments they spent with Hagrid with this playset. If you love to collect HP Lego sets, then this is gonna be one of the valuable additions to your collection. It comes with the furnishings and creepy crawlies that seem to be found everywhere around Hagrid’s place. You will enjoy putting the building together especially with your kids around. 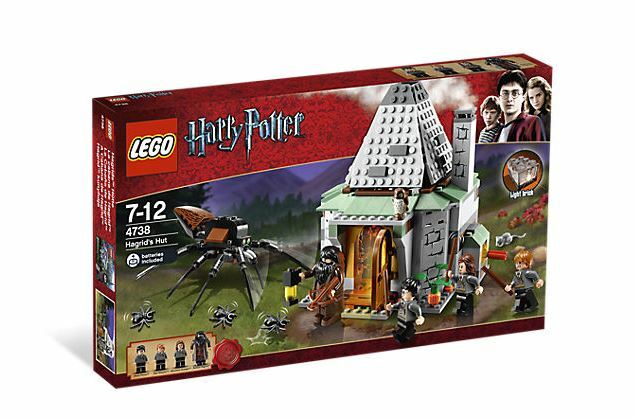 The set comes with 442 pieces to build the hut as well as Hagrid’s pets and things. Enjoy building it while following the instructions so that you don’t get confused along the way and you come up with the desired outcome. You will surely enjoy how much the building looks excellent inside and out after you are done. The playset includes pots and pans that you can where you want to. There is also a chair, a table, and a stove to complete Hagrid’s home. The fireplace found in the hut is charming because it uses a unique LEGO block that has a light in it for make-believe fire. Young kids would surely find that exciting! Aside from those, you also get exclusive characters from this toy. Hagrid is known for keeping lots of unusual magical pets, so the game also contains owls, spiders, Scabbers, Aragog and a baby dinosaur. Aragog is also buildable and turns out cool after you finished putting him together. You can place the spiders around hut for added effect. Of course, Harry, Ron Weasley from Burrows, and Hermione Granger are included! No set would be complete without the trio! This Hagrid’s Hut LEGO toy has been received well by numerous customers. Many people say that this was a great set to get someone who hasn’t ever had one before or buy for yourself to take your first step into the world of brick sets. There are several mentions of what a pleasant experience it was to build the hut with the person the customer has bought it for, be it someone young or old. This toy is indeed for all ages! Several reviews include stories of how much kids have loved this toy and been delighted with the minifigures. The customer support has also been commented on positively by those who have bought this. A small minority of the buyers have said that they felt the item is priced too high, or not worth the money they paid for it. One of the reasons people love the set is all the small details incorporated into the building and its surroundings, for the appreciation of the eagle-eyed people of the Potterdom. Buyers are also happy to see the iconic trio at the center of the HP series present in this set; it makes for a nice touch. The final product is one that many reviewers have displayed all over their homes and even offices. The size of the finished building some say is perfect, not too big nor too small. Others wish it was bigger so it would stand out more, and also justify the price tag attached.